National Park Seminary, an award winning community !! 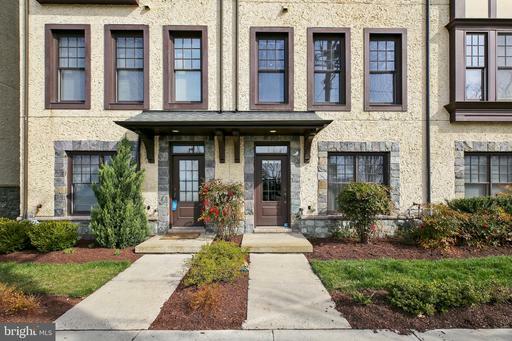 Fabulous eleven year young four level townhome. Rooftop terrace, gourmet kitchen open to dining and living rooms, great for entertaining, granite countertops, stainless appliances, designer cabinetry, pantry, island. 2-car garage, rec room...and much more. Master bedroom has large walk-in closet, full bath with shower, tub, linen closet. 2wo additional bedrooms have ensuite full baths. Gas FP, beautiful hardwoods floors on three levels. Two zone HVAC. 9 ft. ceilings. Walk to Metro Red Line. 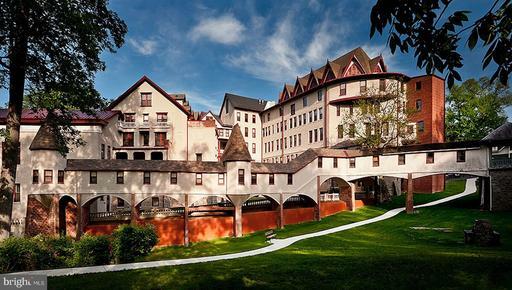 Open Tuesday 11-3See disclosures for interesting information and FAQs on National Park Seminary. A precious gem in the residential treasure trove that is National Park Seminary. One-of-a-kind community comprises a virtual magical mystery tour of unique homes, luxury condominiums townhomes and apartments.The campus is a destination. This home boasts one of the largest floor plans at 2265 sf on 2 levels; lives like detached home without exterior maintenance. 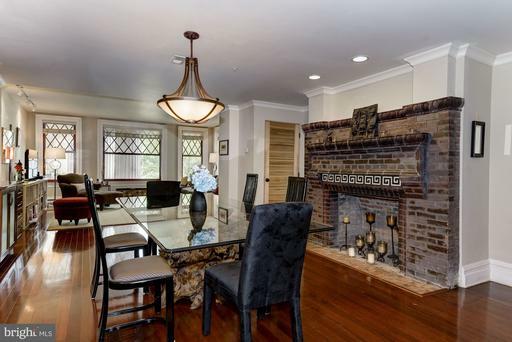 A brick stone hearth is the focal point of the main living area; a rare artifact harkens back to another time with eggdart and Greek key stone trim; your friends and guests will be gobsmacked. A sleek modern kitchen seamlessly integrates with the rich historic character. Diamon mullions punctuate the upper half of the large windows adding a natural decorative element. Brazilian cherry hardwoods finish the main level with gravitas. Luxurious elements added by the current owner enhance the aesthetic...a lavish built-in bar with mirror backdrop and granite surface; an office nook with cherry built-in bookcase cleverly concealed while adding significant storage, master closets with frosted french doors and auto lighting in the Master dressing area. A huge private porch off the main level extends the entertaining space outside in 3 seasons, any weather. Finally, 2 deeded parking spaces are included. Price is lower than assessed value of the unit alone and lower than current owner paid before adding $50k in upgrades! ISO the visionary to claim this prize! 2 BD | 2 BA | 1330 SF | Prof. 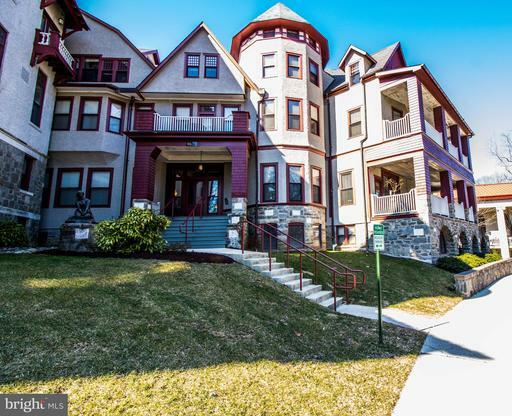 Chefs Kitchen | 300 SF Terrace | 2 Parking Spaces | Modern Luxury in Historic Setting | 2-level superbly renovated penthouse in historic National Park Seminary. Kitchen designed by cookbook author includes Capital Steam Oven, Sub-Zero Fridge, Bosch 5-Burner Induction Cooktop Custom Vent, Daycor Microwave/Convection Oven, Honed Granite Stainless Steel Countertops, 3 Pantries. Unit has open floor plan, recessed lighting, Nest thermostat, Bosch W/D, extensive storage, gorgeous bathrooms, windows on 3 sides for phenomenal natural light. 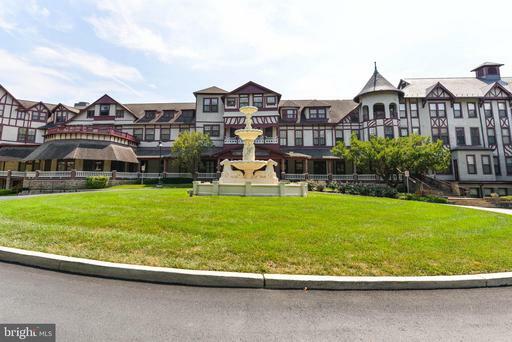 Building is part of a restored 19th century campus and includes fitness center, elegant community room, grand ballroom, easy access to metro/bus Rock Creek Park trails. Pet friendly. This condo is gorgeous! The restored exterior was built in 1898 and has many original fire- places, moldings, high ceilings and antiques. The renovated interior of the condo was designed with all the features that todays buyer desires. Great flow pattern inside and a covered terrace outside. The terrace runs the width of the condo 290 SQ FEET. Be sure to be one of the first to see this fantastic condo. Active 4/3. Open House4/7 from 2-4. Take a look at NPS on line and learn about this very unique and special community. SH205 is a one-of-a-kind 1 BR in the Main Bldg. This one greets you upon entering with a brilliant green accent wall cleverly stenciled tone on tone in the center to create a magical backdrop for the sellers distinctive artistic flair. A truly modern vibe married seamlessly with the rich historic feel at NPS. A wall of windows floods the space with light. Every unit is unique in this community and this one combines several rare elements that make it a truly special offering. The main living area comprises living/dining and kitchen with high ceilings and recessed and pendant lighting. Kitchen and bath are finished with the high quality finishes NPS is known for including cherry cabinets, granite and Corian countertops, stainless steel appliances, Cherry hardwood floors. From the main living area, the balcony calls you to enjoy your morning coffee, evening cocktail or dinner with friends overlooking the Forest Glen few 1BRs have private outdoor space. A spacious bedroom offers privacy off the main living area and a spacious bonus room is ideal for a private office with a huge storage nook for extra storage out of sight of visitors and in the unit. A coveted deeded covered parking space is included as well. Long Foster Real Estate, Inc.